The latest data I have shows a container from Asia to the US West Coast costing around $1,400 in May – a year ago in May the same container cost about $750. Oil prices are expected to be somewhat flat as shown by the futures market. The price for delivery of oil a year from now is only .63¢/barrel more than the price today. This means there is very little incentive to store oil with the expectation that the price will be higher later. This was not the case last summer – prices even 6 months out were much higher. This impacts oil stocks and the rates paid to hire the mega tankers. 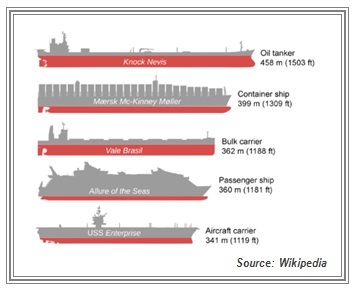 I think I have mentioned that the cost to charter a very large crude carrier is $5,000/day less than the expected breakeven number of $22,000/day. And we thought trucking was expensive!